“Among the main factors are the fuel spill, the overload of the electronic system and the overheating of the braking system and other parts of the vehicle. 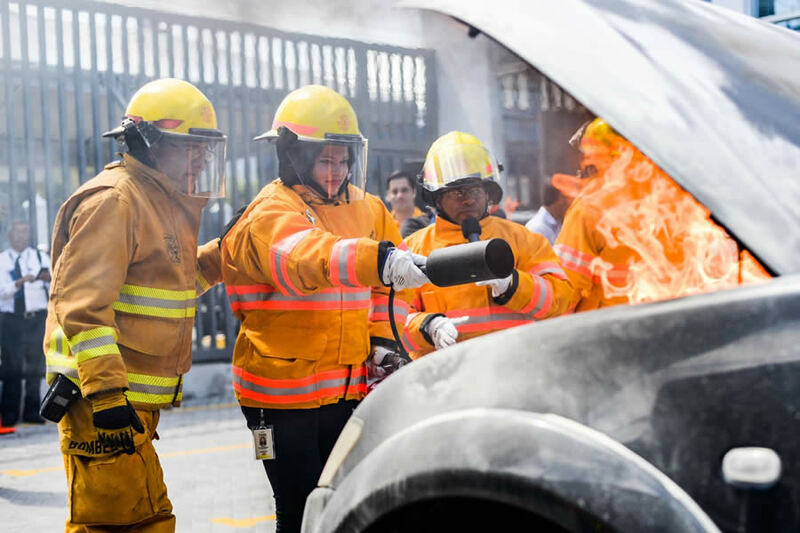 These fires occur mainly in light vehicles, but we have also handled cases from motorcycles to heavy loads,” said Héctor Chaves, General Director of the Costa Rican Fire Department. Most of these causes are related to lack of maintenance, as well as to improper manipulations in the electrical and vehicle exhaust systems, which leads the authorities to remind the importance of periodic check-ups, punctual technical revision and not to perform installations without the help of the corresponding professional. “Together with the firefighters we were able to confirm that many of the faults detected in the technical inspection, both minor and serious, are related to the possible causes of fire in vehicles, ranging from loose batteries, leaks, loose cables, irregularities in the adjustment of the brakes and even manipulations in the exhaust system, which is why we call to pay special attention to what is reported on the Technical Inspection Card and correct all that is signaled even when it is slight,” commented Jennifer Hidalgo Chief of Communication and Social Responsibility of Riteve. On the other hand, the General Director of the Traffic Police, German Marín, pointed out that on the highway there are several scenarios, both vehicles that have some type of short circuit or other failures as a result of the lack of maintenance, as well as cases in that some type of fuel is transported in private vehicles, without the respective safety measures. “Also, remember that the risk is not only fire, but the emanation of gases, smoke and other types of pollutants as well. It is very important to avoid these situations, verify that the vehicle is in good condition, always have an adequate extinguisher at hand and be alert of the state of batteries, cables and leaks that could cause a loss,” added Marín. Through different messages the authorities and Riteve will be focused on reminding citizens how much it costs to acquire a vehicle, which for some is their work tool and for others something that was a dream and that unfortunately comes to be consumed by fire in 2 minutes. In addition, it can also have irreparable costs of human lives. “What is most worrying is the fact that most of these incidents occur by carelessness of their owners, mainly by manipulating the vehicle’s electrical system, we must remember that it is our life and that of our loved ones that is at stake, we should not risk it by making connections or changes without the supervision of a professional,” said Ing. Edwin Herrera, Executive Director of Cosevi. The campaign includes a series of messages on social networks and media through which it is expected to raise awareness of the importance of preventing these incidents.